The Urban League is always looking for committed people who are interested in making a positive change in our community. Become an Urban League volunteer and help build a stronger community. Please email us at volulr@ulr.org and place the Program or Division that you are interested in volunteering in the subject line. 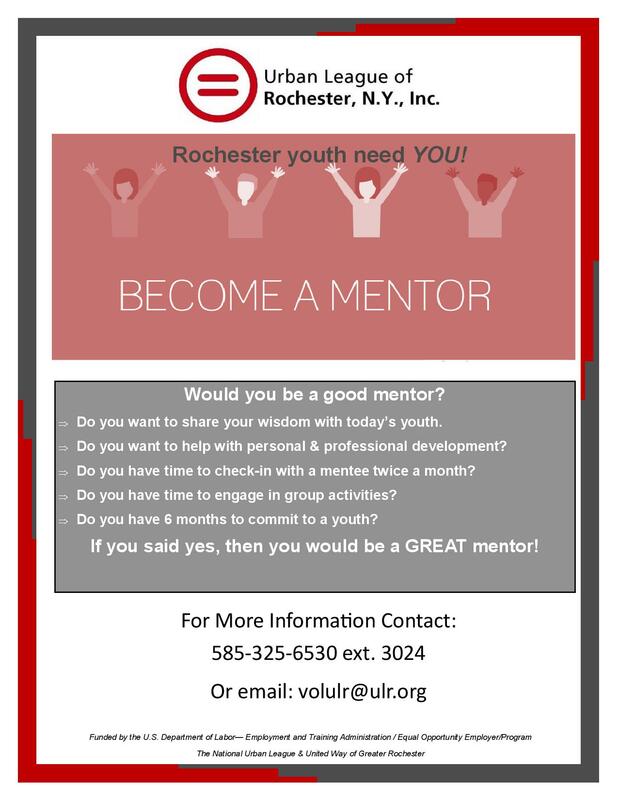 We currently have mentoring needs in the below programs. Click on the program for more information. The Urban League's Guild is a committee of volunteers who develop and execute fundraising programs and volunteer efforts on behalf of the agency. Click here for more information about the Guild.